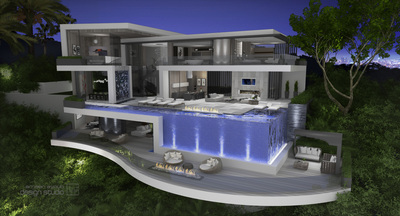 Located just above the Sunset Strip and the noted Sunset Plaza. An amazing view site, situated at the end of a cul de sac includes vistas of the Hollywood hills, city skyline, and the ocean sea scape beyond. 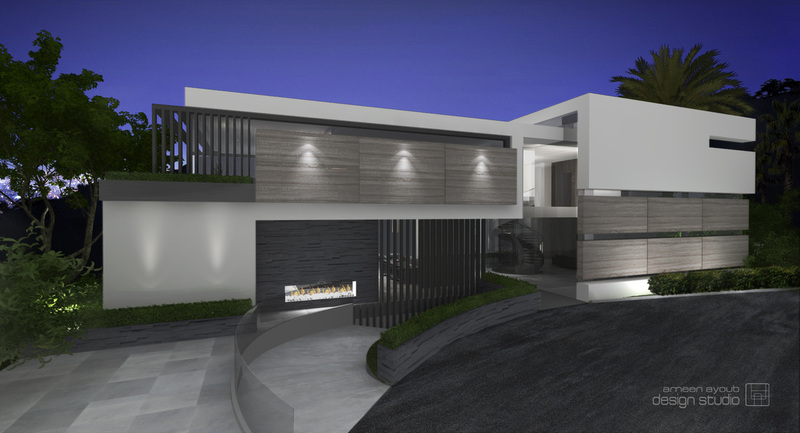 Conceptual plans call for a a one of a kind, exceptionally well designed and thoughtful four bedroom three bath contemporary home that could rival any of the best designed modern homes of today. 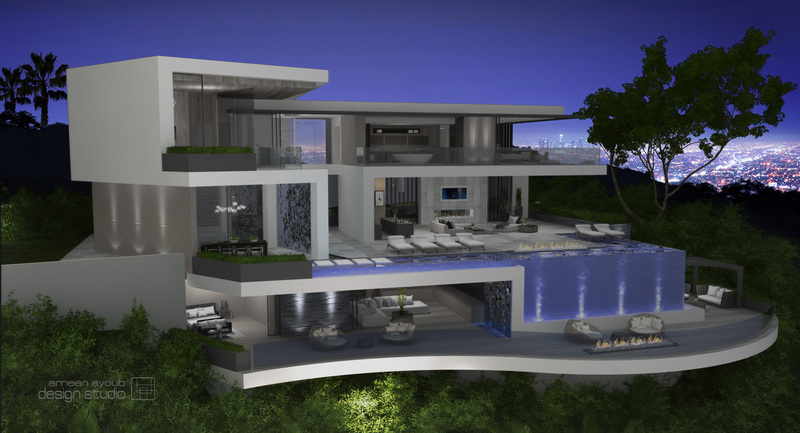 Enter into the home through a double height atrium with magnificent floating spiral staircase that flows seamlessly to your open great room/living room and kitchen, family room and dramatic dining room complete with a waterfall wall of glass. Sliding glass walls open completely to an outdoor living room and infinity pool. From the dramatic entrance ascend the center spiral stair case to a second level of bedrooms that is designed to fully capture the unique view site. 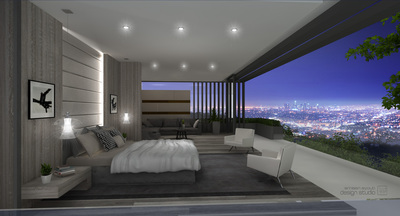 With wrap around terraces the master bedroom is placed to take complete advantage of the head on views to the ocean through the city. There are two additional bedrooms with ensuite baths on the second level. Descend the spiral stair case to the lower level which has been designed to allow for a state of the art theater, wine room, lounge with full bar, and additional bedroom and an underground parking garage. The lounge area opens up to another full deck, a fire pit, and a lower level outdoor patio lounge.